A couple of years ago I noticed this too ugly to be true toy car garage in our local thrift store. I tend to not buy stuff when it’s that ugly but there’s was this potential I saw in it that I could not ignore. I was going to turn this trash into treasure and create a fabulous garage small world with it. It didn’t quite go that way. While I expected fabulous quality time with my then 5 year old daughter, I single-handedly managed to turn it into a craft nightmare. The story is called “the day I ruined my kids project and she handed it well”. You can read all about it here. Now, in the end it all worked well and it our garage small world turned out to be a real gem. 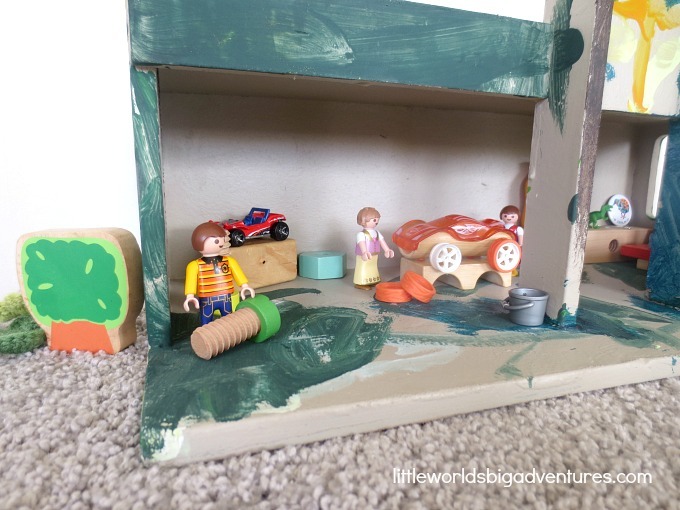 I’m a big believer in recycling and upcycling and going back to basics with toys in general. By recycling toys (and other items) we take care of planet earth and teach our children to not consume more than you need. Plus by tackling projects as these we all learn about the creative process, working with different materials and most of all working together. Everybody wins. While you can read all about the actual process of how we upcycled the ugliest toy garage in town, here’s an image of Miss Glitter and Mr T having fun and (still) smiling. 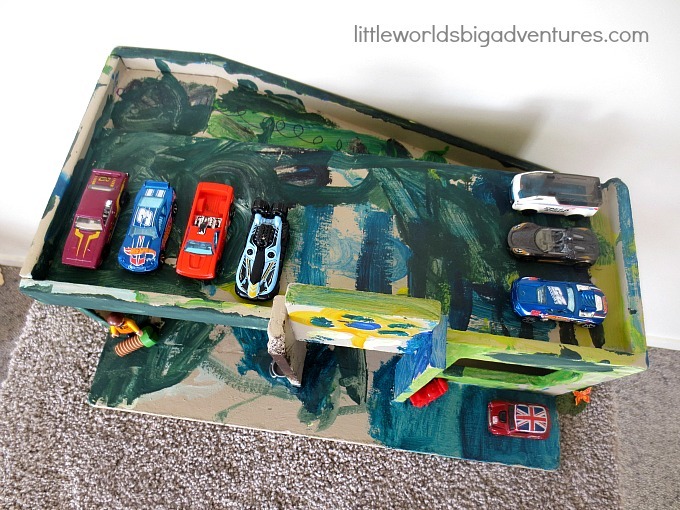 I must quickly mention that I briefly considered other uses for the toy car garage than a garage small world. I thought it was perfectly suited for turning it into a grocery store. 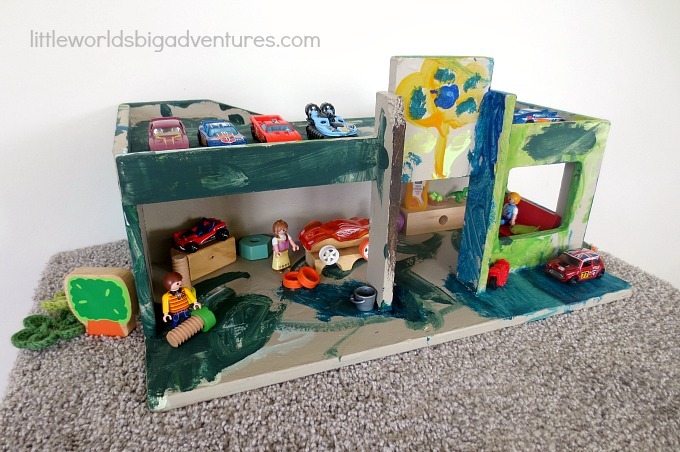 With the garage on top and the actual shop downstairs I could already see it happening. I even had a little logo designed for that high wall at front and a mural for one of the side walls. I was on a roll. 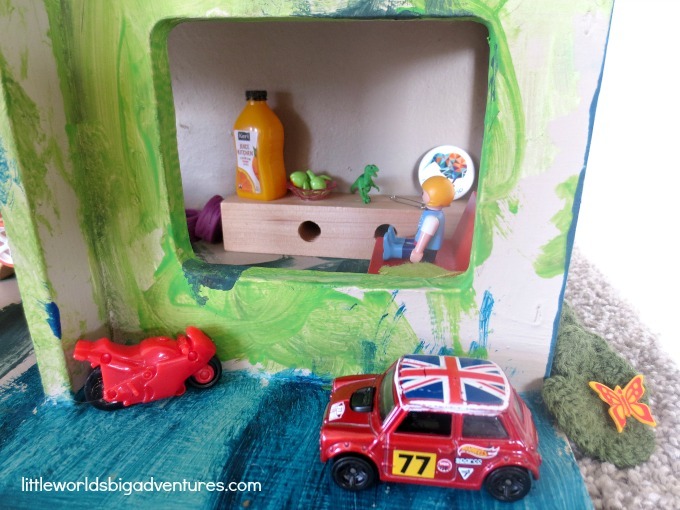 But since the inside is a bit cramped and would have been tricky for little hands to manage small items, we decided to stick with the garage theme and transform the bottom part into a work shop. It was perfect. And if a certain four year old felt the need to use that bit as parking space too, he could just move those cars right in. Having to work with the way my kids so expertly decorated the place was not the disaster I imagined it to be. It gives the toy garage a ‘rough’ feel, like it’s in covered in graffiti and the people working there must be the real deal. 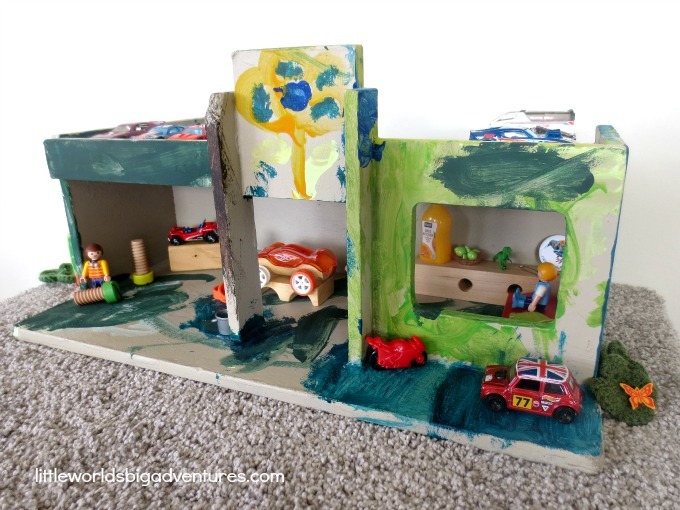 We simply moved in the cars on the top level and decorated the workshop. We divided the workshop into a ‘work space’ and an ‘office space’. I had a bit of fun finding little details to add to the interior design, keeping it simple but playful. 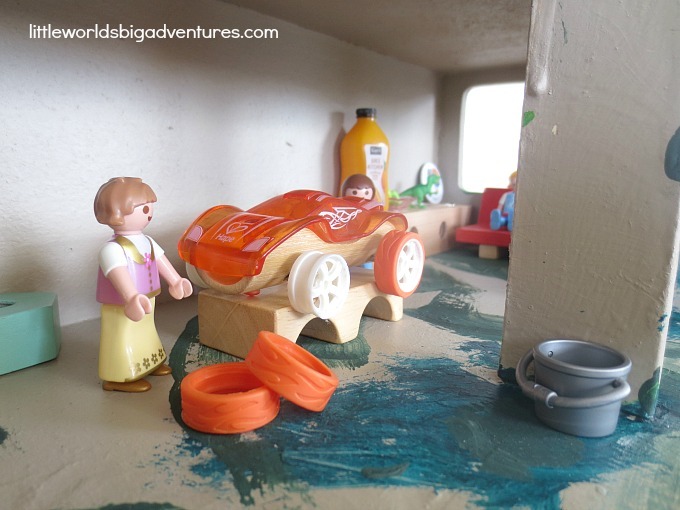 We had some cars of which the tires came off easily and mostly used blocks and screws from the construction box. The kids loved it. They fixed cars, sold cars and most of the crew took up permanent residence in the office. It could be the start of a new HBO show. Projects like these are a whole lot of fun. Sure, you run into some issues but you work it out. And in the end you are left with something that is not just a toy, but also a memory. 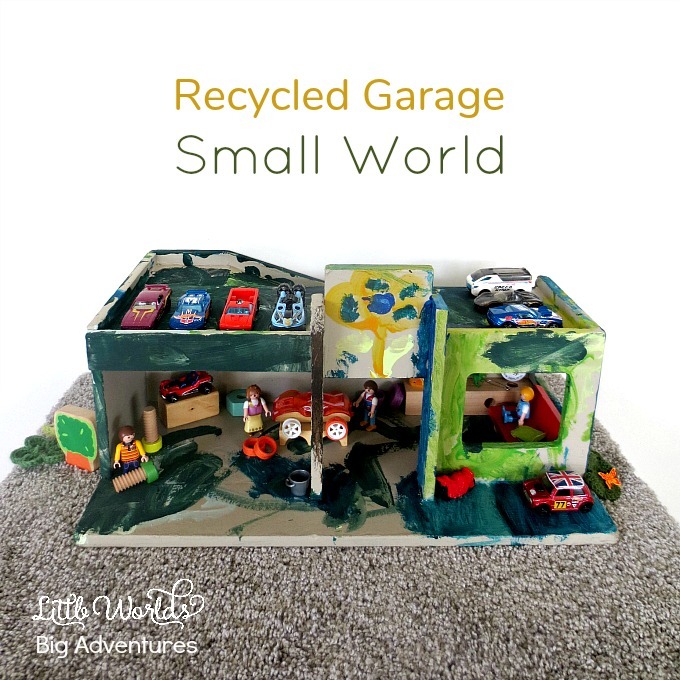 For the next couple of weeks, the garage small world got a prominent place in our living room to show everybody ‘our latest project’. And since it has moved from room to room where both my son and daughter play with it in very different ways. Last year, when we moved internationally, we sadly had to leave it behind. These images sure bring back a lot of memories of our time in New Zealand, our fun (and somewhat challenging!) family project and how little my babies still were then. 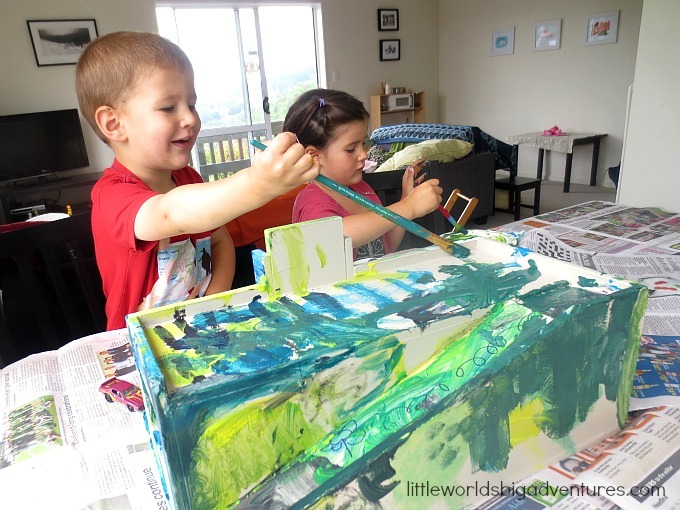 Family projects don’t have to be so elaborate. 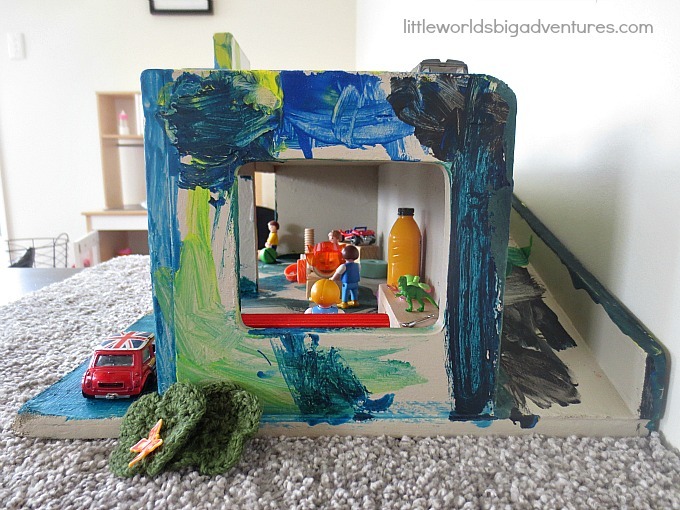 Setting up simple small worlds can be the perfect little (fail safe) project and a guaranteed hit with your little ones. Go and have a look here for lots of information and inspiration!